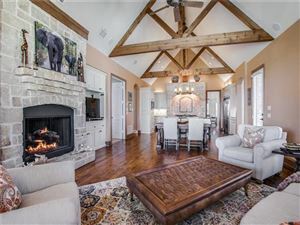 Rockwall TX Homes and Real Estate - Call Us TODAY! The Vicky Chesna Team for all of your real estate needs! 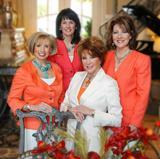 The Vicky Chesna Team is made up of 5 determined women with over 70 years of combined experience! We can help with buying, selling, relocating, leasing, investors, foreclosures and short sales. Our home base is Rockwall and Heath but we service the northeast quadrant of the DFW Metroplex. Calling us is your 1st and most important step in the home buying and selling process. Marketing expertise and reputation for client satisfaction awarded Vicky "Best Realtor in Rockwall" by the Dallas Morning News. No wonder we rank Top 1%in Nation for Coldwell Banker in Sales. Ability to target what type of home you are looking for: Waterfront Properties, Golf Properties, Farm and Ranch, New Homes, Relocation, and Buyer Representative. Strong negotiation skills. We pride ourselves with delivering the best value whether buying or selling. Support through the closing and beyond. We are a FULL SERVICE TEAM! Want to know more about us??? Click on our name: Vicky Chesna, Elaine Sullivan, Andrea Collins, Kerrie Bryant, Sandra Nelson. Vicky’s team specializes in waterfront properties, golf course properties, farms and ranches, new homes, investment property, relocations and Buyer’s Representative.